According to a recent Game of Thrones theory, it was Littlefinger who spread the rumor that Rhaegar abducted Lyanna. In "Game of Thrones" Season 7 finale, it was revealed that Robert's Rebellion was built on a lie. "Rhaegar didn't kidnap my aunt," Bran said in a voiceover while witnessing Rhaegar and Lyanna's wedding, "he loved her, and she loved him." Then, Bran went on to talk about their son, Jon Snow, whose real name turned out to be Aegon Targaryen, who's been the heir to the Iron Throne all along. 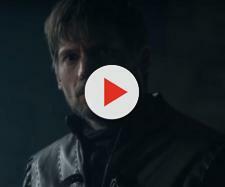 Not only did this scene confirmed what was probably the most popular "Game of Thrones" theory (the jury is still out on whether or not Jon is the son of Rhaegar and Lyanna in the "A Song of Ice and Fire" books as well) but it also straight up told us that Robert's Rebellion and the subsequent fall of the Targaryen Dynasty were caused by someone's lie. The real question is: Whose lie? Robert from a YouTube channel In Deep Geek has quite an interesting theory on who might that be. Let's check it out. While talking about Robert's Rebellion and who caused it, one name usually comes rapidly to mind - Robert Baratheon. But was it Robert who spread the rumor that Rhaegar kidnapped Lyanna? It's certainly possible. After all, he was madly in love with a woman who didn't love him back, so when she went off with another man, Robert's ego was hurt so he made up a story about Rhaegar kidnapping Lyanna and started the whole rebellion over it. And while this does sound like something a jealous man would do, there's another suspect, someone who has always been a few steps ahead of everyone else - Peter Baelish, better known as Littlefinger. According to In Deep Geek, it was Littlefinger who spread the rumor that Rhaegar abducted Lyanna knowing that it would plunge Westeros into civil war. He is, as we are all very aware of, a huge lover of chaos. And chaos, as Littlefinger himself would put it, is a ladder, a perfect opportunity to get rid of one's enemies and rise to power. And boy did he rise to power after the Rebellion, from a nobody to the Master of Coin and one of the most powerful men in Westeros. If you are having a hard time believing that Littlefinger, a fifteen-year-old at the time, would play such a crucial role in Robert's Rebellion, just take a look at his actions at the beginning of the story and you would notice a pattern. I am, of course, talking about the two lies Littlefinger is best known for, lies that caused the War of the Five Kings. In "Game of Thrones" Season 3 Littlefinger delivered his famous "chaos is a ladder" speech. There was something about his voice that made it sound like the War of the Five Kings wasn't the first chaos he ever created. And if this theory is correct, it certainly wasn't. Besides, spreading lies about Rhaegar and Lyanna would also provide a perfect chance for Littlefinger to get back at Brandon Stark who almost killed him in the duel, because he knew Brandon would do something rash which in this case was going straight to King's Landing and getting himself killed. You can see what Littlefinger thinks of Starks in a clip below. "Oh the Starks, quick tempers, slow minds." Littlefinger might not be the most honorable character in "Game of Thrones," far from it, but he is certainly the most interesting one. And who knows, he could even play a role in the final season, as I discussed in one of the previous articles. Don't forget to watch In Deep Geek's video down below for all the details about the timeline and Littlefinger's essential role in Robert's Rebellion.